We looked at the top 1 Wireless Earbuds and dug through the reviews from 4 of the most popular review sites including BestReviews, Influenster, Unbox Bear, Your Tech Space and more. Through this analysis, we've determined the best Wireless Earbuds you should buy. In our analysis of 54 expert reviews, the Cobble Pro Cobble Pro True Wireless Earbuds placed 8th when we looked at the top 9 products in the category. For the full ranking, see below. Lightweight with a low profile design. In a busy environment like in the train station or bus, never once that the connection drop on me. The Cobble Pro does a great job to deliver a pretty good audio experience with deep punchy bass that’s not overwhelming. They may not pair well with all devices, but they work well with most newer iPhones. However, the right earphone stopped working twice in a certain condition like when you left the earphone idle for a quite some time or when you switch application. The cover of the carrying case doesn’t inspire much confidence in durability and reliable for the long term. 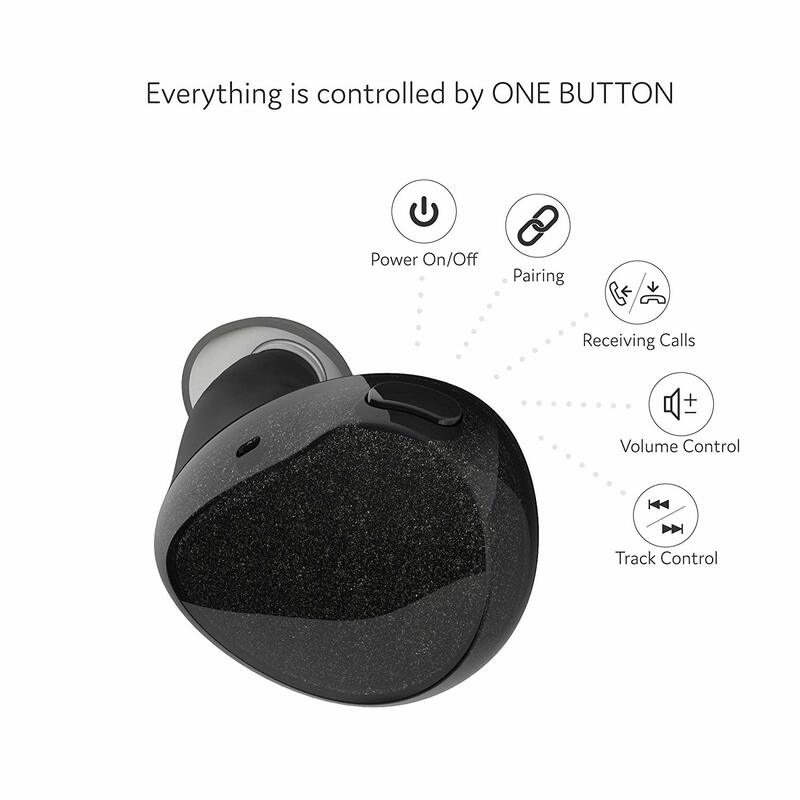 True Wireless earbuds without any cable hanging on your neck. It's the most technically advanced earbuds with superior sound. Special designed shape of earbuds will hold on your ear securely and comfortably. Sweatproof and powerfully small earbuds are all you need for running, biking and workout. Built-in microphone allows you to take a phone call without reaching your phone. Safety design will be turned on while you are making a phone call. One of the earbuds will be off which make you stay aware of your surroundings. One button controls everything including power, pairing, receiving calls, volume control and track control. It can hold up to 3.5 hrs of music and calls on a single charge. With a portable carrying case that is also a charger, it can make your earbuds up to 26 hrs of battery life. The carrying case can be a power bank with 1300 mAh for your other devices. Neodymium magnet driver with graphene composite diaphragm provides high performance sound with punchy bass. The speckled cover earbuds are packed with breathing LED. Dimension: 20mm diameter (earbuds), 69.5mm x 45mm x 28.2mm (charging case). Weight: 0.16oz (earbuds), 2.53oz (charging case). Connectivity: Bluetooth 4.1, it's up to 10M.